NORWALK, CT – January 26, 2011 – After a very quiet two years, the senior care acquisition market exploded with deal volume as pent up demand, combined with improving operating metrics and a low cost of capital, resulted in the dollar volume of announced seniors housing M&A deals soaring to more than $11.7 billion in 2010, with some deals still to be uncovered. This compares with just $2.9 billion in 2009 and a paltry $1.8 billion in 2008. There had not been a billion-dollar deal announced since 2007, but in 2010 there were three of them. Financial buyers were involved in all three of those acquisitions, and included The Blackstone Group, Ventas and HCP, Inc.
“Health care REITs, with their relatively low cost of capital and much improved balance sheets from 18 months ago, are dominating the large transaction market and announced a $6.1 billion acquisition and a $3.1 billion deal, both in the fourth quarter of 2010,” stated Stephen M. Monroe, the editor of The Senior Care Acquisition Report and The SeniorCare Investor. “Very few buyers can compete with the REITs for large acquisitions in this market.” There was also an increase in the smaller deals, as higher quality properties started to come on to the market while prices have been bid up. The number of publicly announced transactions increased by 17% to 103 acquisitions in 2010, and there were many others that were privately disclosed. “At long last, this market has legs, and while we do not expect to see the heady days of 2006 and 2007 anytime soon, the strong fourth quarter performance last year bodes well for a busy senior care acquisition market in 2011,” continued Mr. Monroe. The Senior Care Acquisition Report, Sixteenth Edition, contains statistics on the skilled nursing facility, assisted living and seniors housing M&A market, including prices per bed or unit, capitalization rates and income multiples. It also includes transaction information on each of the publicly announced acquisitions in senior care, home health care and hospice care in 2010. The Senior Care Acquisition Report, Sixteenth Edition, may be purchased for $595. For more information, or to order the report, call 800-248-1668. 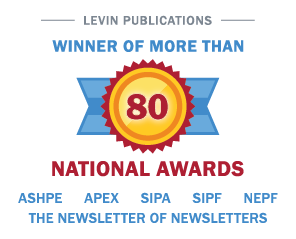 Irving Levin Associates, Inc. was established in 1948 and has headquarters in Norwalk, Connecticut. The company publishes research reports and newsletters, and maintains databases on the health care and seniors housing markets.